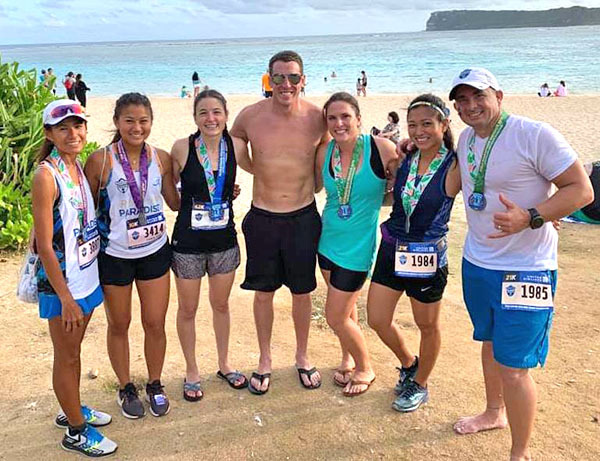 Mother and daughter Lydia and Tania Tan made it to the Top 3 of the 10K event of the 2019 Guam Marathon held last Sunday. Lydia finished second in the 50 to 59 age group after completing the race from the Gov. Joseph Flores Memorial Park in Ypao Beach in Tumon past the Alupang Beach Tower in Tamuning at the Trinchera Beach Park and back in 54:11 (gun time). She was one of the only two runners in her age group to round out the course in under an hour. The other one was age group champion Yumiko Hansen, who clocked in at 46:27. Seventy-four runners entered the women’s 50 to 59 age group. In the women’s 14 to 19 age group, Tania was ranked third with a time of 49:12. She was No. 9 out of the 419 female finishers and No. 34 out of the 836 runners that completed the 10K. Shakeera Esma and Mya Tolerson placed first and second in the division with times of 44:36 and 47:21, respectively, while Japanese Hikaru Kumagai (31:53) and Guam’s Rhea Macaluso (44:32) were the overall finishers in the men’s and women’s divisions. 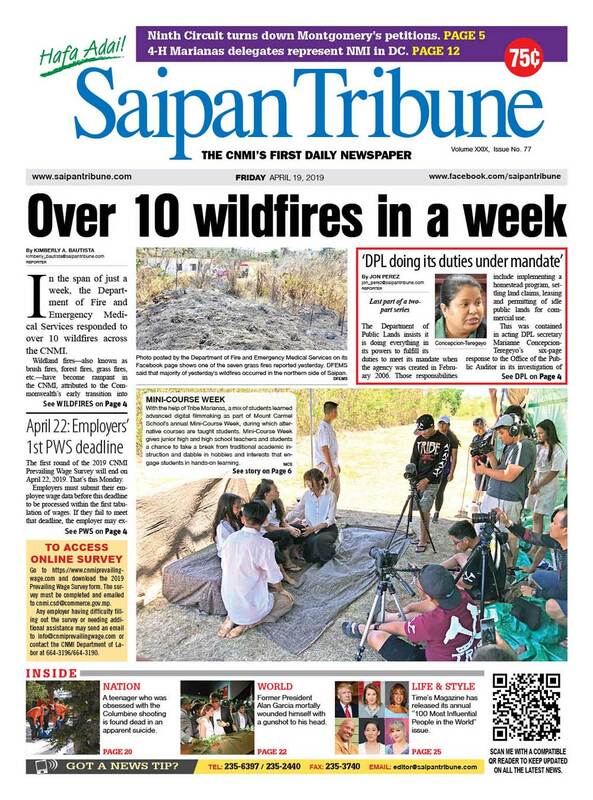 Meanwhile, five other Saipan runners also raced in last weekend’s event. Husband and wife Travis and Robyn Spaeth, along with Brad and Kathy and Ruszala competed in the half marathon, while Heather Taylor joined the marathon. Taylor was entered in the women’s 30 to 39 age group and finished second in the division after checking in at 3:35:39. She was No. 4 out of the 135 female finishers and No. 28 out of nearly 500 finishers. Kris Lawrence (3:11:31) ruled the age group, while Tomomi Sawahata (3:01:18) and Yoshiki Nakamura (2:32:31) took the top overall honors in the women’s and men’s divisions, respectively. In the half marathon, Travis had the fastest time among Saipan runners after breaking the two-hour barrier, as he posted 1:56:18. He came in at No. 25 in the men’s 30 to 39 age group and No. 71 among the 427 female finishers in his division. 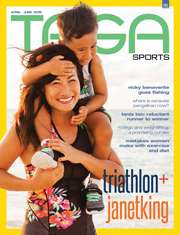 Travis’ wife, Robyn, also raced in the 30 to 39 age group and was ranked No. 22 in her category after recording 2:08:54. Just less than three minutes behind Robyn was Kathy, who timed in at 2:11:38 to finish No. 26 in the same age group, while the latter’s husband, Brad, registered 2:51:21 in the men’s 40 to 49 division. Rieko Koshi (1:29:22) topped the women’s field (406 runners), while Takumi Hasube (1:12:00) was the overall winner in the 427-runners men’s division. Last Sunday’s Guam Marathon, which also featured a 5K event, drew a record of more than 4,000 runners.